Croatia’s Katarina Line is rewarding travel agents with an extra 10% commission for last-minute bookings on select cruises and departure dates. The additional bonus is available on some of the company’s most popular routes, based on eligibility. It features top-of-the-line small-ship cruisers in categories that include Premium and Premium Superior, as well as Deluxe and Deluxe Superior. The vessels are larger and more lavishly designed, offering the latest in modern conveniences and spacious en suite cabins. All cruises must be booked by June 1 to be eligible for the extra 10% commission. Among the eligible routes offering an additional 10% commission is the one-way “Northern Pearls” cruise from Split to Opatija, available for the Aug. 4-11 departure on Dalmatia and the Aug. 11-18 departure on the Premium Superior vessel, Amalia. 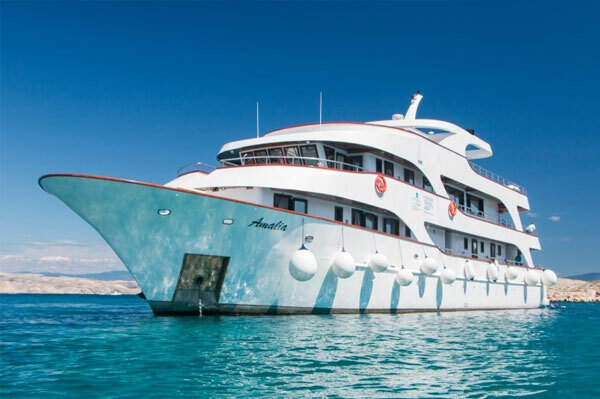 Several round-trip “Northern Gems” cruises out of Split are also eligible, including the Aug. 4-11 cruise aboard the Deluxe My Way vessel, as well as the Aug. 11-18 cruise on the Deluxe Admiral vessel. Numerous “Croatian Wilderness” round-trip cruises out of Split are also eligible, as well as several “Dalmatian Paradise” departures, sailing round-trip from Split.